Cheryl Manning is a most knowledgeable and entertaining presenter and she will return to Santa Barbara for our Tuesday evening meeting this month. Cheryl will first do a short presentation on current goings-on at the National Arboretum in Washington DC. Then, she will have brought “something” from her back yard and will be helping us orchestrate the design of an untrained tree. So everyone should be prepared to help design this future masterpiece! 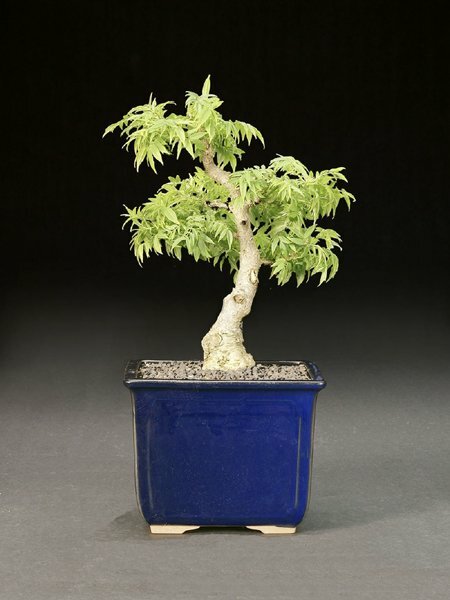 See her website at: www.betterbonsai.com and dig out the club’s June 2014 newsletter for a short bio. Cheryl is chairing the upcoming Golden State Bonsai Federation’s Convention 38, “Bonsai Fusion.”, so I’m sure she will invite us to join her in Riverside for an inspirational and entertaining four days of bonsai! Yes, it’s the second half of the year already. If you haven’t paid your workshop dues yet, please do so early so that Ann and Wally can plan on the attendance for the 2nd Saturday and the 3rd Saturday workshops. Ann will begin her 2nd Saturday of the month Workshops on July 11 and the 3rd Saturday classes will kick off with Ted Matson as the instructor on July 18. Carol Hicks has volunteered to host our August Pot Luck on Saturday, August 15. Carol says that she always plans a large pot of chili, so you may use that as a guideline for the item you would to contribute. Spouses are welcome also. 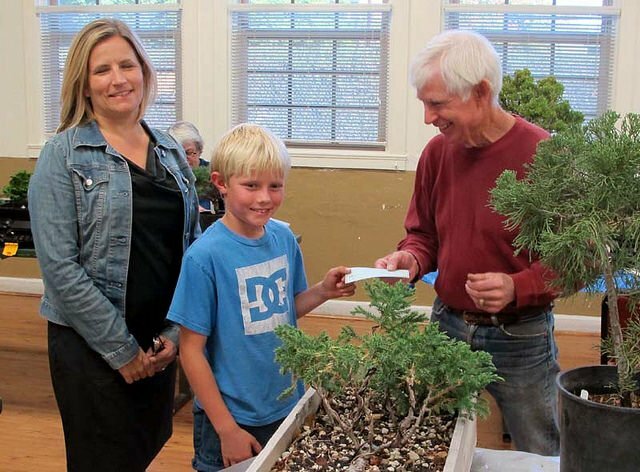 There will be our usual raffle to help fill your coffer of much needed bonsai material. I have many items to bring this year. Summer is also our time for planned trips to bonsai nurseries. We try to fit in three visits during our August break and our first will be a visit to Roy Nagatoshi’s Fuji Nursery in Sylmar on Saturday, August 1. Please show up at 7:45 at Sear’s upper lot and we will leave at 8:00. This was Travis’s first visit to our club. He was accompanied by his young daughter Isabella. Travis said he studied and hung out a lot with Mas and Gary Ishi in Gardena before opening his own nursery. 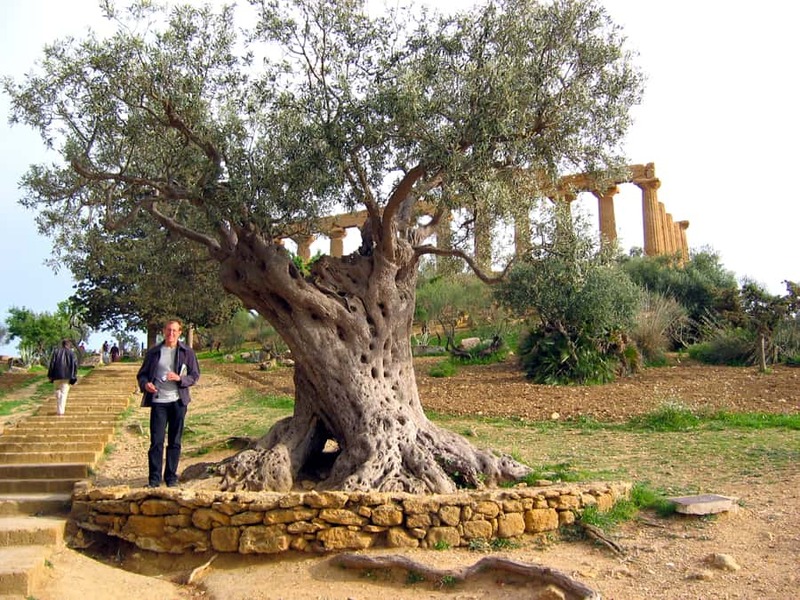 He prunes raw material hard, eliminating weak and poorly placed branches while making the foliage mass more in balance with the trunk. The tree may not look like much at this point but it now has an opportunity to develop. It is important to learn the traditional bonsai styles even though the rules may be bent or broken for any individual tree. For trees such as the prostrata juniper our club supplied to him for his demo, in order to make good use of what the tree has available, it is sometimes necessary to resort to what he calls the “camouflage” style: the judicious moving of branches to have one where it is needed or to mask unsightly parts of the tree. The picture at left shows him trying to determine just what’s under that dense mass of twisted branches. The picture at right shows a smiling Travis and the tree after its initial styling. His demo tree will be included in our August potluck raffle, and the winner will be asked to bring it in again next year when Travis returns to take the tree to its next stage. It’s been years since the club has published a membership list, and it’s been years since I have purged my newsletter mailing list of people who are no longer members. In the past, not all members have wanted to have their full address, phone number, or e-mail address published, but we would like to publish a 2015 directory with as much data as you feel comfortable sharing. Please look the attached list over, and let me, Tom Post, or Ernie Witham know of any corrections or changes needed and please let one of us know if you do NOT want your full address, phone number and e-mail address included in the directory. Also, I have about 70 people on my newsletter mailing list but there are about 50 people on the membership list. If you are one of those 20 or so people on my mailing list who are not currently members, please re-join the club if you want to continue to receive the newsletter. 9:30 AM until 12:30 PM, Room 8, Goleta Valley Community Center. Ann Erb, instructor. New semester, fees are due. First of four workshops on the second Saturday of the month with the club’s Ann Erb. Contact Ann Erb or Tom Post if you’d like to attend. 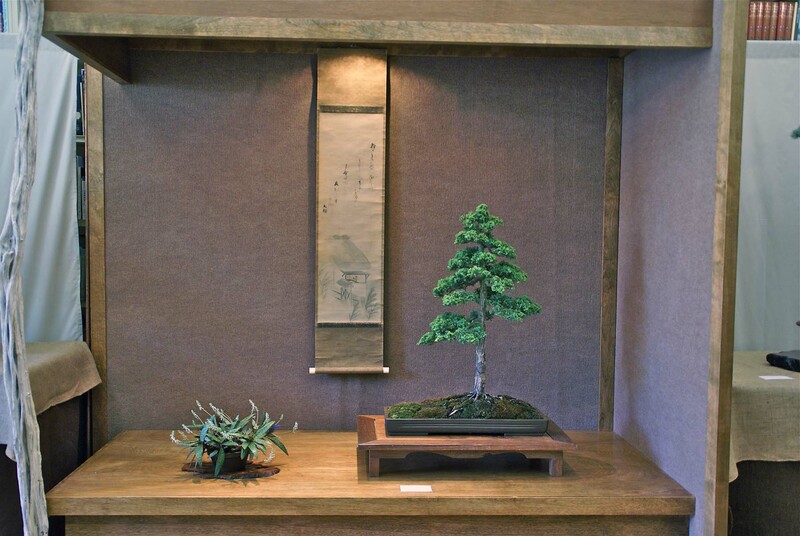 July 18: Bonsai Club Of Santa Barbara: 3rd Saturday Workshop With Guest Instructor. As Tom mentioned in his President’s Message above, Carol Hicks has bravely offered to host our summer party this year. Address and more information to come, but put Saturday, August 15 on your calendar. We’ll see if she still has a big smile on her face after spending the afternoon with a large band of bonsai enthusiasts in her backyard! As usual, the potluck and raffle is our only event in August. Regular Tuesday evening meetings and Saturday classes will resume in September. May 2014 – IT’S SHOW TIME!